Mosaic portrait of Virgil, 3rd-century AD. 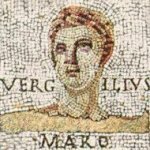 Virgil, Publius Vergilius Maro, or Vergil, (15 October 70 BC – 21 September 19 BC) was a poet in the Latin language. His poems are about gods and their mythology. Virgil's most famous epic poem is called the Aeneid. 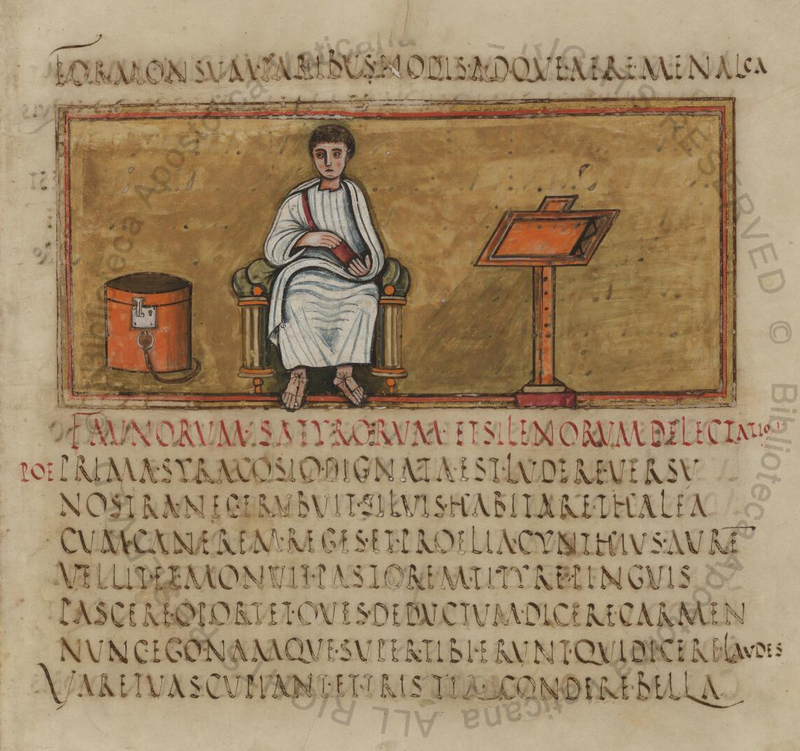 Tradition is that Virgil was born in the village of Andes, near Mantua in Cisalpine Gaul. Scholars looking at the way he used words think that he may have Etruscan, Umbrian or even a Celtic background. Study of his name has led to beliefs that his family may have been earlier Roman settlers. These modern beliefs are not supported by evidence from his own writings or from writers of his biographies. Some scholars have noted that his nickname, MARO, is an anagram of the two main themes in the Aeneid: AMOR (love) and ROMA (Rome). Virgil Facts for Kids. Kiddle Encyclopedia.